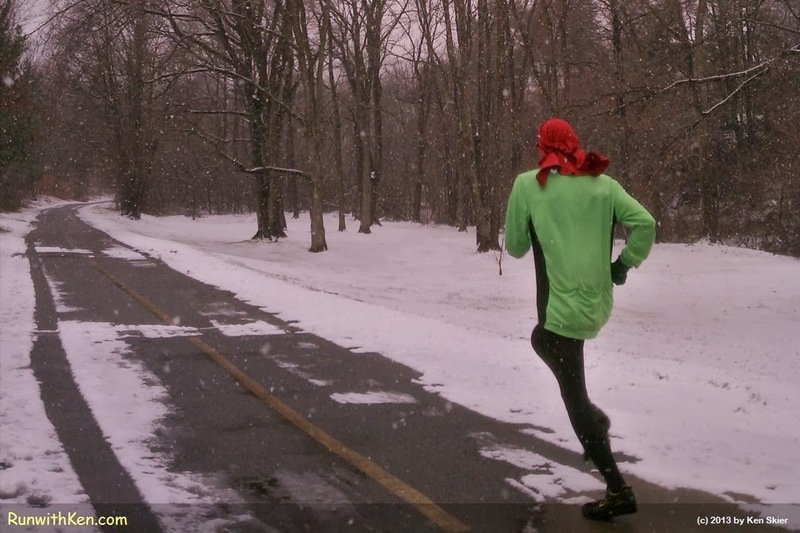 First Snowy Run of the Winter! On the Minuteman Bikepath in Lexington, MA. a road race, trail race, open water swim, duathlon, or triathlon. spends a lot more time training than racing! So I thought I'd post a photo of a runner on a solitary training run. Look at that ribbon of asphalt...winding into the distance. Don't YOU want to run down that path?